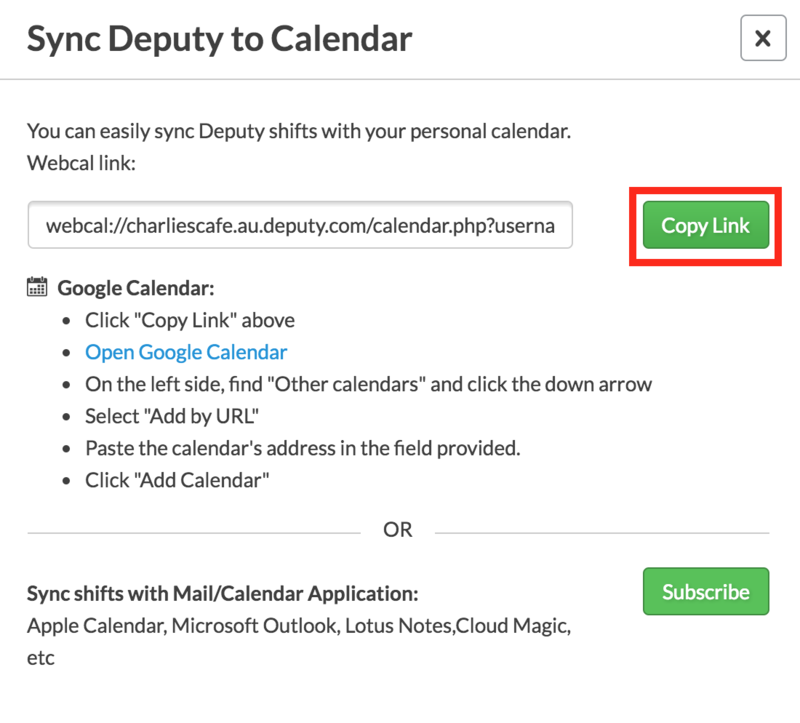 This guide shows you how to sync your Deputy schedule with calendars such as Google Calendar, iCal, or Outlook. Via your calendar software on a computer or mobile device with internet connection. A pop-up will appear, which will open your calendar application. Click 'Launch Application'. The Calendar app will open. Simply click 'Subscribe' to add your schedule to your calendar. To subscribe via Deputy, simply log into your Deputy account, then navigate to your profile. 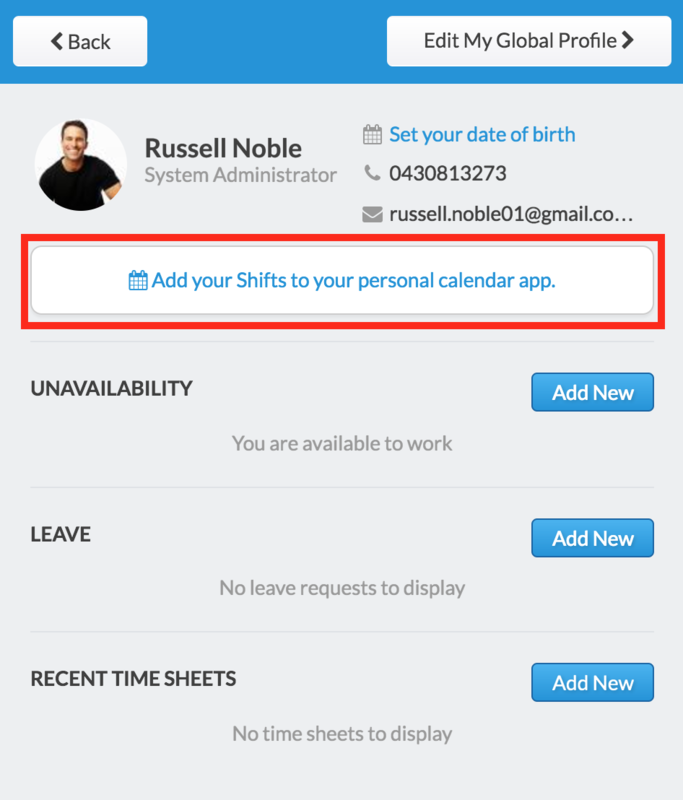 From here, click the button that says, 'Add your Shifts to your personal calendar app'. In the pop-up box that appears, click 'Copy Link'. The button will confirm the click and will display a 'Copied' message in place of the 'Copy Link' button. 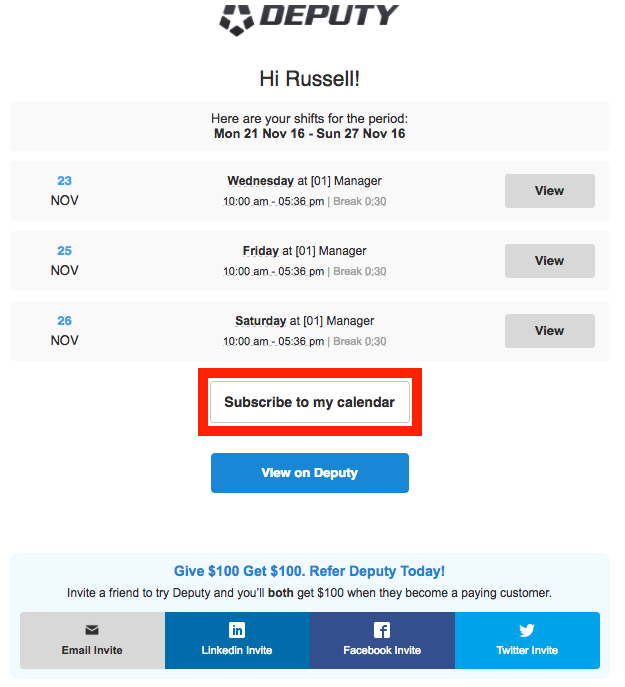 Note: Clicking subscribe will be produce the same effect as subscribing via email. 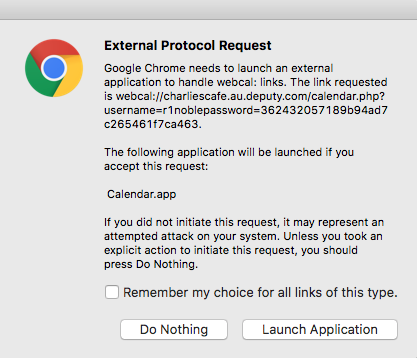 This works for external calendar applications, but not for online calendars such as Google Calendar. The following is an example of if you would like to add your shifts to Google Calendar. Open up Google Calendar. On the left side, click the arrow next to 'Other Calendars' and click 'Add by URL'. In the following pop-up box, simply paste the copied calendar link and click 'Add Calendar'.